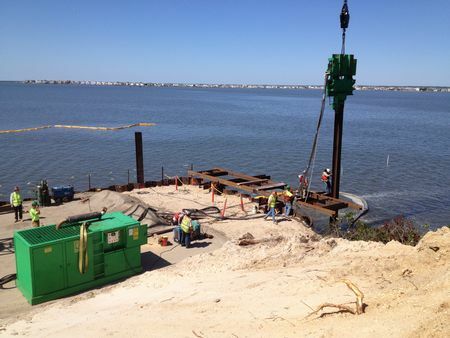 Schiavone Construction was recently awarded the Route 72 Bridge Project going over Manahawkin Bay in Long Beach Island NJ. The project calls for building a new bridge next to the existing bridge. Then the existing bridge will be refurbished. 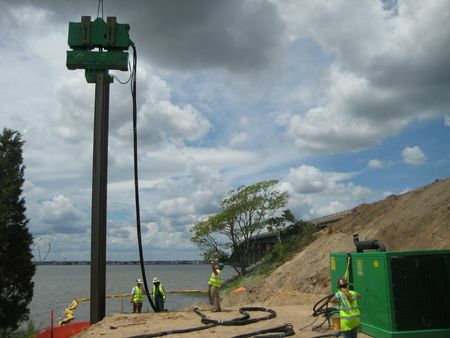 Schiavone Construction is driving sheets of various sizes, 75' long pipe piles & H?beams with 2 ICE 50B vibro's. The 50B's have adapters so a sheeting clamp can be installed on the caisson beam, which makes changing from the caisson set up to the sheeting set up very quick. 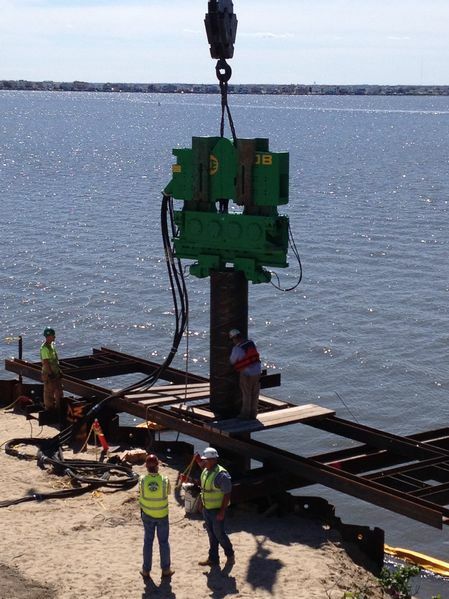 They are building 2 trestles that will meet in the center of the bay. 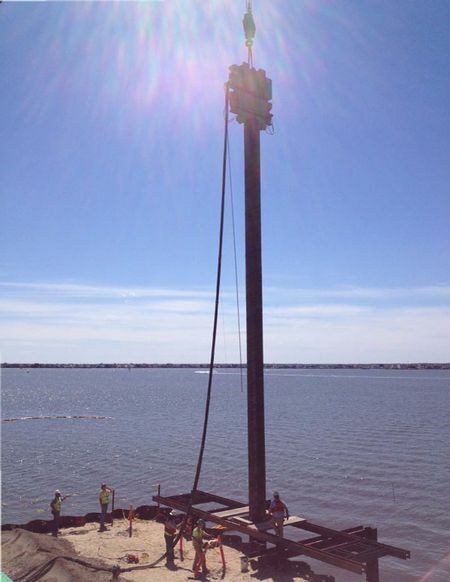 The bay was too shallow for barges, so building the temporary trestles was the best way to get across the bay. 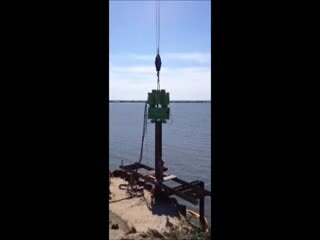 The area none as LBI gets very busy in the summer & a new bridge will make the area easier to access.